2 Is more Power Always Better? When it comes to purchasing a cordless vacuum cleaner you should do thorough research in order to choose the best option and not just buy whatever seems most beautiful. 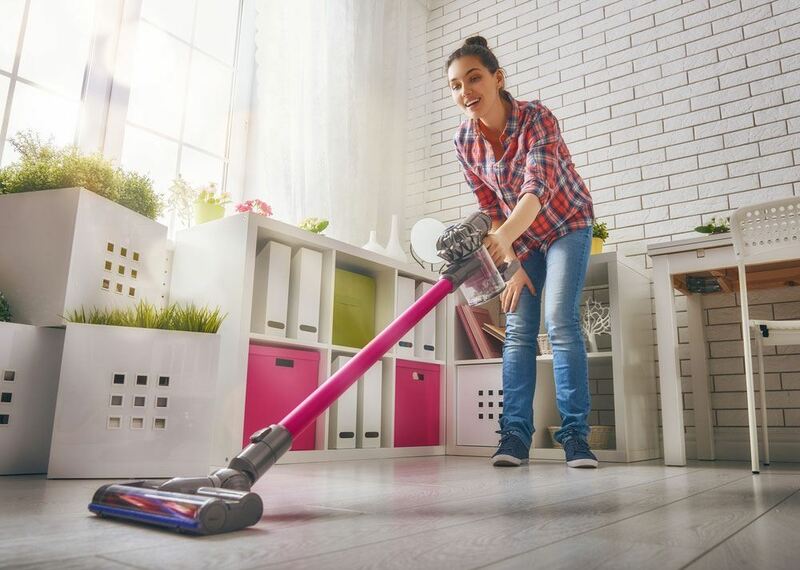 It's worth noting that each vacuum cleaner will have its specific strengths and weaknesses, such as some which are better for cleaning apartments with smaller heads so can fit easily under furniture and around objects. You will find others that are designed for larger homes because they have bigger dust collection tanks, big heads for covering larger areas and a longer run-time from a more powerful battery. Is more Power Always Better? You should also note that power does not guarantee performance – the overall design and features are what makes the difference. That’s why we’ve come up with 5 top things to look for in a cordless vacuum cleaner to help guide you through the process. Taking care of a cordless vacuum cleaner is the same as any other vacuum, if not slightly easier. You need to check the floor head regularly for tangled hair, especially if it has a brush roll, and remove it. A clean brush increases the performance of the vacuum, and reduces the risk of breaking the belt. Most cordless vacuum cleaners have a dust bin instead of a bag. This means that you don’t have to buy new replacement bags and cuts the cost of maintenance. Emptying the dustbin is very easy. You just need to open it, dump the contents, close it back, and you’re good to go again. As for the filter, make sure to read the user guide to find out how often you need to clean it. Some will have just the one, whereas others will have two of three. Most of them are washable so it's' recommended to clean them every 3-6 months depending on how much vacuuming you do. Look out for HEPA filters because this type will help you ensure your vacuum is not spewing out lots of dirty air particles. Overall, almost every cordless vacuum cleaner is easy for maintenance. Cordless vacuum cleaners are much lighter and easier to use than regular vacuums. On average, they weigh about 3 kilograms, less than half of a regular vacuum cleaner. This makes them perfect for cleaning around the whole house. It's also great for weaker people, those with disabilities or elderly people who may struggle with larger machines. Although weight is very important, it's also how well they are designed. Some models can feel heavy when they're quite light due to how the handle sits in your hand, where the center of gravity is and other factors that the designer has made when building it. Most of the cordless vacuums have a handheld cleaning mode which further increases their appeal. This enables you to clean all kinds of different surfaces, not just the floors. They are also easy to manoeuvre and can reach even under the furniture due to their slim profile and lightweight. Combining all of these features can really motivate you to vacuum more often and keep your house sparkling clean. It's especially handy for going out to clean the car because they are so small and easily portable, and without a cord it's no problem at all. You also need to consider the capacity size of the dust bin. They usually come with 1 liter capacity, which is very little for some people, but the quick and easy emptying system makes up for it. Cordless vacuums come in a range of prices, depending on what features they have and the tools they come with. Lighter models will be more costly compared to heavier ones. However, higher price is not a guarantee for quality. You need to look for a good combination of features that suit your needs in order to get the best out of the cordless vacuum cleaner. To sum it all up, investing in a powerful cordless vacuum cleaner is well worth the money and can make cleaning your house much easier and quicker. But before making a decision, especially if it's based solely on advertising, make sure you have looked at some reviews online to see what people are saying about them. By taking all these tips into consideration you can find what model suits you and your needs best, and say goodbye to the days of lugging a huge vacuum cleaner with long cords around.